The next sentence you are about to read might sound like a movie idea conjured up from the depths of oddball film star Nicolas Cage’s psyche: Professional treasure hunter, armed with a map from outer space, sets out to unearth hundreds of shipwrecks around the world—and finds a centuries-old artifact that just might be Christopher Columbus’s anchor. Real life beat you to it, Mr. Cage: This actually happened. 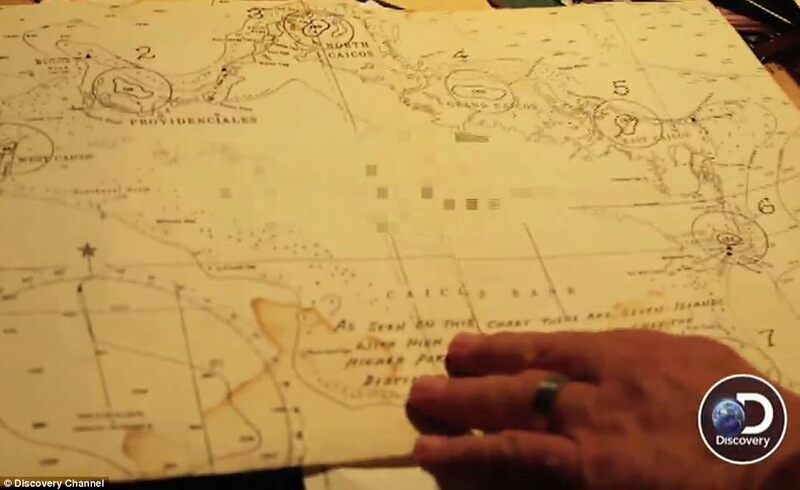 That treasure hunter is Darrell Miklos, and a new Discovery docu-series, Cooper’s Treasure, has been following him as he searches for underwater treasure, guided by the ghost of his dear friend, the late NASA astronaut Gordon “Gordo” Cooper. In the 1960s, Cooper was one of NASA’s original space pioneers—the youngest of the “Original Seven” astronauts, the first to sleep in space, and the last American to make a solo trip to space. On one of his missions, Cooper was using long-range detection equipment to search for nuclear sites when he claimed he noticed a series of anomalies—dark patches that showed up on photos he took of Earth. He believed they were shipwrecks. 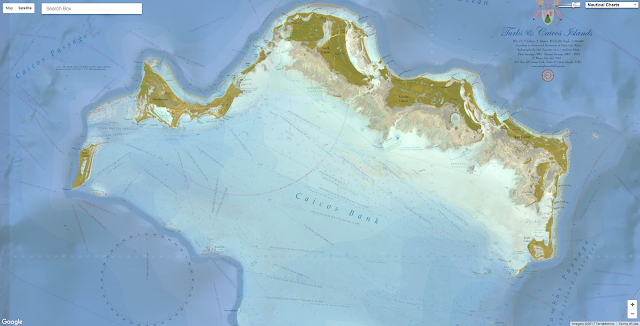 He spent decades tracking the coordinates on his space map against known shipwreck sites. Cooper died in 2004, but not before bestowing hundreds of documents upon his longtime friend, Miklos, who set off with Discovery cameras in tow to find out if that map from space would lead to buried treasure. Two days ago, Discovery leaked a 30-second clip of an upcoming episode with an extraordinary reveal: Miklos and his crew believe they may have found an anchor that belonged to one of Columbus’s ships that sailed between Spain and the New World. “As soon as I saw it, I knew what it was: an early 1500s anchor. I knew in my mind that we were onto something so historically significant, just by the first line of site,” Miklos tells Newsweek in his first interview about the discovery. Miklos and his crew were searching off the coast of Turks and Caicos when they discovered the 1,200- to 1,500-pound bower anchor resting at the bottom of the Atlantic Ocean. They quickly set out to verify their discovery. Miklos says the size of the anchor and details about its shape and design line up with other ships from the Columbus era. “If you think of the early Colonial period, there was only one group of people out there: Columbus, the Pinzon brothers, and the Columbus fleet,” he says. Miklos also thinks the anchor met a violent end—the crown was bent and the anchor ring was broken, suggesting it was detached from its ship during a storm. 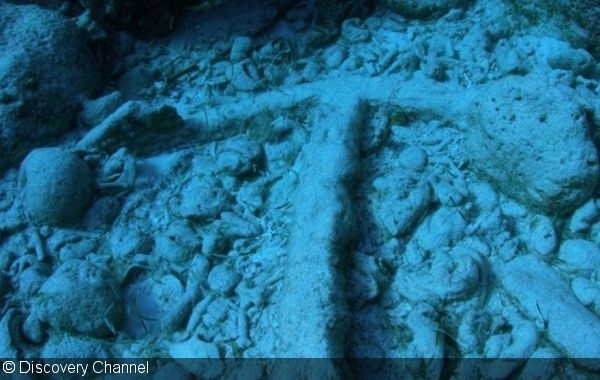 “The importance of the anchor…is its age and nationality,” says Jim Sinclair, a consulting archaeologist on the show. Now, Miklos is focused on proving the provenance of his anchor. “They didn’t build these things with stamps on them that say, ‘Built by Columbus,’” he says. He’s already found pottery shards believed to be an olive jar painted with indigo paint and a Majorcan pot, both of Spanish origin, that can be used to date the wreck to the Columbus era. Several iron and bronze spikes found nearby also help date the materials to Columbus-era ships. This summer, Miklos heads back to Turks and Caicos to see what else he can find in that vast underwater cemetery. “If we continue our search along that trail, I believe we stand a very good chance of finding shipwreck material related to that anchor,” he says. Miklos's father, Roger, also is a treasure hunter, and in the early 1980s he claimed he’d found the Pinta, one of the three ships in Columbus’s first voyage. But the discovery, near the Bahamas, was controversial. Even his own son now doubts it. 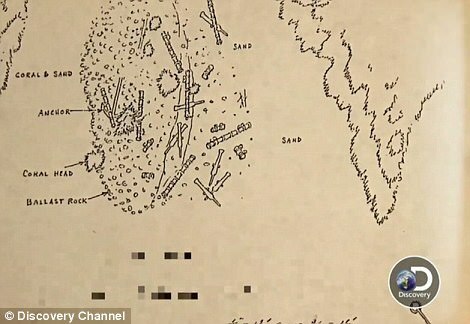 “ I do believe that the wreckage and material he found probably comes from that same era. I won’t say it is the Pinta—I don't believe that it is,” Darrell says. Miklos was a boy when he started hanging out with Cooper, and over time they developed a close friendship (and mentorship), despite their 36-year age difference. Miklos says it would take him 1,000 years to investigate all 60 anomalies on Cooper’s treasure map if he only had one crew. If he had 50 boats, he’d need 50 years.